Detailed and spacious interiors, exclusive amenities, and beautiful grounds with views of the Blue Ridge Mountains are just a few of the comforts you will discover at The Villas at Southern Ridge. The Villas at Southern Ridge is an upscale condominium property conveniently located in scenic Charlottesville, Va. Just minutes away from the University of Virginia, The Historic Charlottesville Downtown Mall, the University of Virginia Medical Center and 5th Street Station, the Villas at Southern Ridge offers residents the convenience of proximity to work, restaurants, entertainment venues and nightlife. This unit includes three large bedrooms, two full baths, a spacious den/office, a private balcony, a washer and dryer and stainless steel appliances. Also, clubhouse membership is included in the rental. The clubhouse features a full-service gym, game-room with pool table, office center and lounging area. There is also an olympic-sized pool attached to the clubhouse. 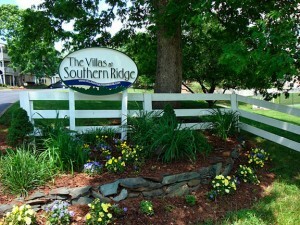 The Villas at Southern Ridge has everything you need to enjoy the urban convenience of Charlottesville within a beautiful rural setting overlooking the Blue Ridge Mountains. The Miller Organization. All Rights Reserved.